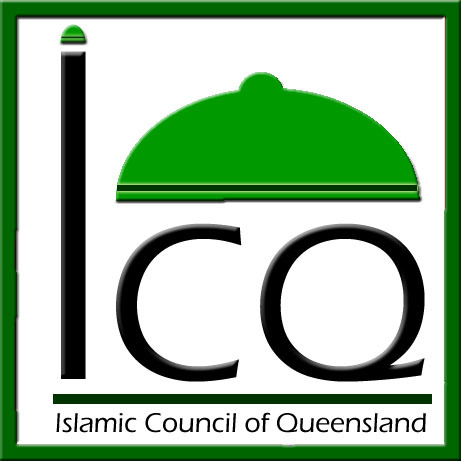 Members of the Islamic Council of Queensland can also send donations to the Council by 20th February when all monies raised will be forwarded to the Victorian Bush Fire Appeal Fund. 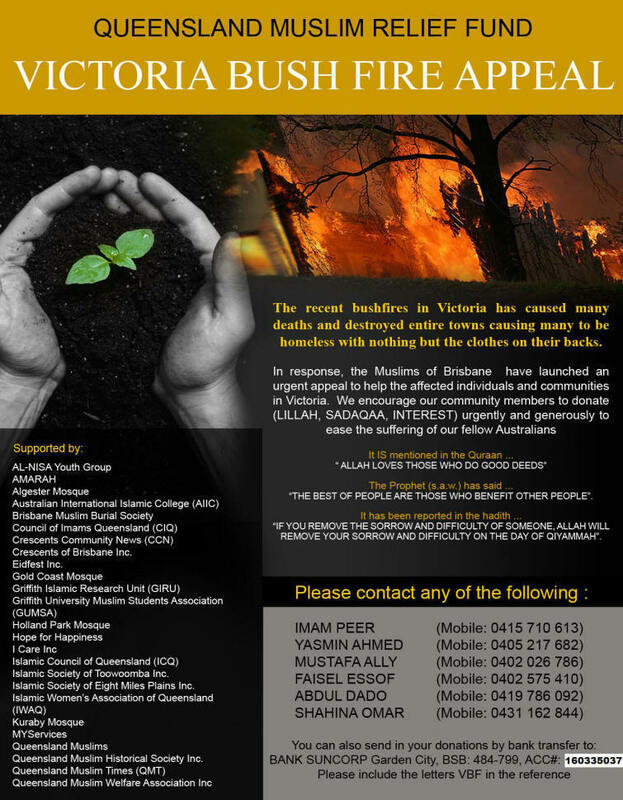 The AFIC Victorian Bush Fire Appeal press release also calls for donations. While his tongue was slightly in cheek, Gupta and many other Indian business people I spoke to this week were trying to make a point that sometimes non-Americans can make best: “Dear America, please remember how you got to be the wealthiest country in history. It wasn’t through protectionism, or state-owned banks or fearing free trade. A day for women to relax and be pampered while having a minimum of 10% of their spend go to humanitarian aid for the people of Gaza. Imagine having your hair done, followed by a massage and facial and maybe top it off with a manicure whilst enjoying the fashion parade of Australian Muslimah designers, all this while your children are being taken care of by the day care. Instead of going home to cook you can grab a meal for the family for a total day of relaxation and pampering. If this sounds like the perfect day call Fa'izah on 0404 713 624 to book your treatments now to avoid disappointment. We are currently looking for professional women who are involved in the beauty industry (e.g. hair dressers, manicures, pedicures, massage, waxing, henna, facials, day care e.t.c.) to work on the day. We require that you donate a minimum of 10% of your total sales for the day to humanitarian aid for the people of Gaza. If you are interested you don't need to work for the whole day. Call Fa'izah on 0404 713 624 to discuss what you can provide and the time you are available. We are also looking for women who have products for sale directly related to women for example clothing, make-up, perfume, household products and who would like to give a demonstration and sell their products on the day. 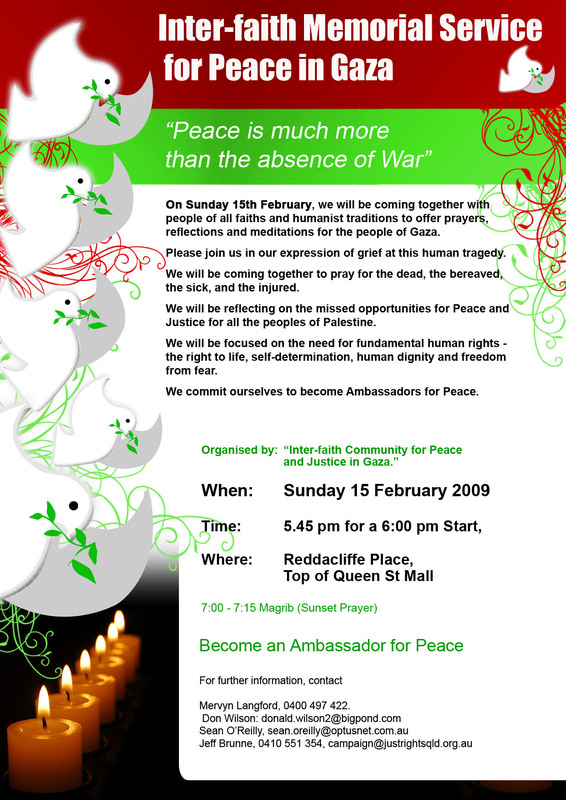 The first demonstration is free with a minimum of 10% of the total sales for the day being donated to humanitarian aid for the people of Gaza. A second demonstration is also available at a cost of $25. 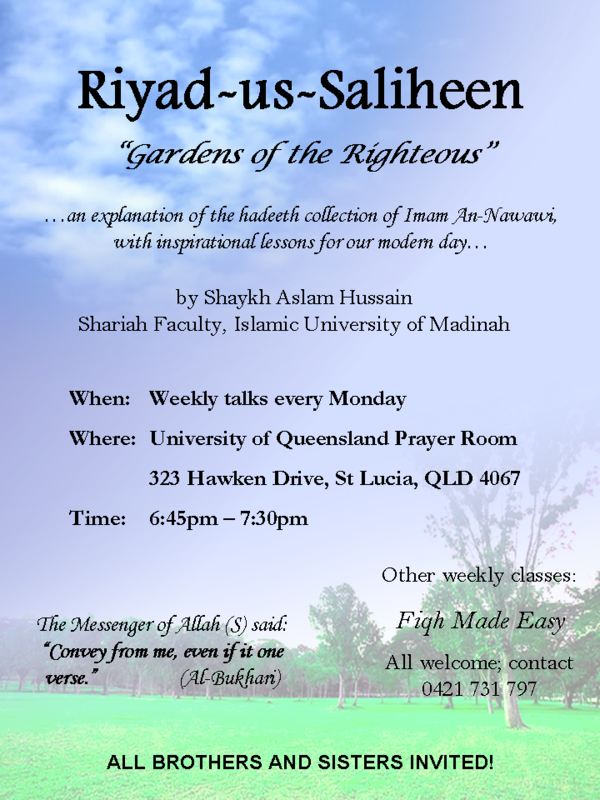 Please call Fa'izah on 0404 713 624 for more details and to book a time for your demonstration. If you are also interested in helping out with this worthwhile cause but are unsure of what you can do please call Fa'izah on 0404 713 624. 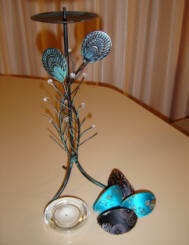 Check out the website at http://www.geocities.com/faizahbatchelor/ for a full range of services and prices. Don't forget to check back regularly as services are updated. Why: To raise money for humanitarian aid for Gaza. OurWorld Travel is offering an April Umrah package and prospective travelers can register their interest as places are allotted on a first-come-first-served basis. THE recognised leader of the council's eight-person majority, Cr Peter Young, says locating an Islamic school next to a Christian church and Croatian sports centre is potentially `scary' and `frightening'. The thing that worries me is that this bloke IS the effective leader of our city - a body that ranks second in population size in the nation. Young (pictured right) does have a genuine leadership role in the fastest-growing region in Australia and this is how he uses it. The only things that scare and frighten me about this issue are his views. Whatever possessed him to voice them in such an intemperate manner? I can't believe he parades himself as green and left-leaning with links to Labor (they're tenuous at best if the truth be known and this won't improve them). This fellow is clearly no progressive. Too bad he can't take a leaf out of Ron Clarke's highly principled and admirable stand in favour of the school, and ignore the extremist views of the scary Christian far right. Young should be taking the heat out of the whole event, not stoking it up with loose and disturbing gibberish. If Ron Clarke says that local bigots fighting against the school have no place on the Coast, where does that leave Cr Young? In my view, these statements disqualify him from sitting on the council. This is just one of the many disquieting things about this guy, who has never offered himself to the entire populous at a general election. After this rant, I suspect he'll never get the chance. What he conveniently ignores is the reality that mixing communities together, in this case Muslims, Christians and Croatians, IS good planning. It breaks down barriers and demystifies cultures. Good planning dictates that we blend our various groupings and not segregate them. The other thing he ignores is the nature and character of our highly regarded, local Islamic community, which can only be described as moderate and secular. For Cr Young to deliberately try to connect the dots between the creation of an Islamic school at Carrara and terrorist events internationally is one of the most despicable political acts I've seen in a long time. The nikah (wedding) of Sousun, daughter of Fakhri and Rashida Shamsodien of Kuraby, Brisbane, and Wasief Chilwan of Cape Town (South Africa) took place on 7 February at the Zinatul Islam Muir Street Mosque in South Africa. The wedding reception, held at Pegulls Restaurant in Greenpoint, Cape Town, was a glittering affair attended by over 270 guests and many friends and family from Brisbane. Sousan's exquisitely designed gown was the work of a Brisbane couture. The happy couple are presently honeymooning in Turkey. For a chance to have your wedding pictures and stories published send them to ccn@crescentsofbrisbane.org. A PUBLIC high school, an Islamic college and a Catholic primary school are breaking down religious barriers towards the common goal of a new performance and multifunction centre. The Federal Government has recognised the united efforts of Plumpton High, Australian Islamic College (Western Australia) and Good Shepherd Primary School by granting almost $2.3 million towards the project under the Local Schools Working Together pilot program. This was one of 15 projects in Australia that will share in $31.7 million under the program. The aim is to encourage government, Catholic and independent schools to work together to develop shared educational facilities. This pilot program was one of three NSW projects that were granted funding. The centre will be at Plumpton High School and it's hoped to be finished this year. The centre will have tiered seating for 430 people, technological facilities and rehearsal rooms for music tuition. It will also have service facilities that will include a kitchen, toilets and storage for costumes and props. Plumpton High School principal Eric Jamieson hopes the centre will be built within 12 months. He said the hall would be for the wider community as well as for use by its feeder public primary schools Plumpton, Hebersham, Glendenning, Plumpton House and William Dean. "We're delighted about the project,'' Mr Jamieson said. Mr Jamieson said the project would boost the rebuilding of the school's performing arts curriculum. "Performing arts have always been strong at Plumpton High, but it's fallen away in recent years, so we're working very hard to rebuild it,'' he said. AUSTRALIAN Muslims are "seething with anger" at what they perceive as the Australian Government's one-sided treatment of last month's Israeli incursion into Gaza, a Melbourne leader said yesterday. Ramzi Elsayed, president of the Islamic Council of Victoria, said he had never seen the community so hurt or aggrieved, especially after acting Prime Minister Julia Gillard said Israel was responding to Hamas aggression after Hamas broke the ceasefire. "It's as though they think one Jewish life is worth 100 Palestinians," he said. "Enough's enough. It's time to call the facts as they are. Israel broke the ceasefire on 4 November." Responding to a Jewish threat to sever ties with Australia's Muslims if the president of its peak body did not withdraw a comparison between Gaza and the Holocaust, Mr Elsayed said a cooling-off period was inevitable anyway. "There's going to be some open wounds which will take time to heal. Tension and hatred has built as never before in the Middle East, and that's the danger in Australia." Mr Elsayed said the Victorian council would not have made the Holocaust comparison because they understood Jewish sensitivities, referring instead to the "massacre" of Palestinians. Recently The Age reported a row between the Australian Federation of Islamic Councils and the Executive Council of Australian Jewry — the main bodies for each faith — over the refusal of AFIC chairman Ikebal Patel to recant his claim that the former victims of the Holocaust were perpetrating "much worse atrocities" in Gaza. Robert Goot, president of the Jewish council, said the Jewish community would not be able to work with AFIC if the remarks were not withdrawn. Mr Patel said he would be happy to meet Mr Goot any time. He agreed with Mr Elsayed that Muslims had never been angrier, even during the war in Lebanon in 2006, because Hamas had not been able to resist as Hezbollah did. He said the Australian Government should have tried to encourage both parties to cease hostilities, and then to hold talks. Mr Goot said the Government's response had been appropriate and principled, calling on both sides to stop fighting and try to resolve the issue. "It's all very well to say people should sit down and talk, but Hamas won't talk to Israel because it doesn't recognise it and is dedicated to its annihilation. There's no one to talk to." The Jewish Anti-Defamation Commission yesterday strongly condemned the "disgraceful statements" by Mr Patel and the controversial former Mufti of Australia, Taj al-Din al-Hilali, that "what we are seeing (in Gaza) is another Holocaust". ADC vice-chairman Alain Grossbard said the statements were entirely false and showed "an immoral willingness to engage in the sort of Holocaust denial that is so repugnant to all Australians". He said it was of great concern that Mr Patel claimed his views represented the mainstream Muslim view. Spearheading the Gaza rallies last month was a group of political activists who are determined to educate the masses about the Palestinian struggle against Israel. Bonded by their plight for Palestinians, Justice for Palestine was formed in Brisbane to collectively condemn Israel and mobilise support for Gazans. Gathered at an inner-city building, activists from different backgrounds and beliefs planned multiple rallies, intending to make the Palestinian cause, the people’s cause. Socialist Alliance activist and peace-keeping veteran, Hamish Chitts (pictured left) was instrumental in the planning process. Disillusioned by flawed intelligence leading to the Iraq war, Mr. Chitts discharged from the army and became a political activist. A moral imperative motivates his support for Palestinians deprived of their ancestral lands. ‘Once you know the truth of these issues it’s hard to ignore, we need to educate the people’, says Mr. Chitts. ‘Most people don’t know and they’re just being fed by the corporate media’. Activists networked and tapped into grass-roots organisations such as unions, mosques and churches, mustering different communities for a single cause. Their combined efforts yielded over 2500 people who attended rallies, roughly $9,625 in donations, and a petition with over a thousand signatures. Fair Go for Palestine activist, Susan Al-Maani whose parents were uprooted from Palestine as children, promoted the rallies extensively, organising fliers and posters but said dua or prayers are just as important. ‘Two-thousand [pro-Palestinian] protesters has never been done before [in Brisbane]’, said Mrs. Al-Maani, ‘but the impact was not as much as the work we put in’. ‘It’s never enough for the cause of Palestine’. Fellow activist, Anas Abdullah, the most vocal and passionate speaker at the rallies, said protesting was like a pressure valve that released his frustration against double-standards, saying ‘Palestinian and Arab blood was cheaper than other blood’. He was disappointed with a news report claiming the ‘Palestinian community’ was protesting; inaccurately assuming that the protesters were only Palestinian. Crescents of Brisbane's, Mustafa Ally, who experienced apartheid South Africa, shares a ‘deep concern’ for Palestinians enduring injustices by Israel. He admired how people from different religions and ideologies overcame differences to form Justice for Palestine, Mr. Ally was ‘initially skeptical that we could put together a rally with people we had never seen before let alone worked with’. ‘But I was most impressed by how forthcoming and generous everyone in the committee was’, he said. Throughout this month Justice for Palestine is hosting a series of film nights about the Palestine-Israeli conflict, launching a boycott of Israeli products and public meetings, for more information contact Abdulla 0413 783 853 or Hamish 0401 586 923. Call Khadija on 3341 1128. Assalamu alaikum! Peace be upon you all! After holding a fun bowling event for all the young sisters to build awareness amongst the youth on the critical issues in Gaza and to kick start the New Year we'd like to set the scene for our upcoming activities early on so you can get it into your diary now. This year brings a flavour of different sorts including our much anticipated Al-Nisa Parenting Program bringing you all the tips, tricks, Hadith and information for young mothers and mothers to be. There are plenty of parenting programs around but not many designed just for our sisters so this program hopes to bring the best of most of those programs along with the correct information on raising bright Muslims for the next generations to come and all in harmony with our beloved Prophet's (saw) way insha'Allah. If you are creative by default, or not! then join us at the Art De La Femme expo to encapsulate all our sisters' flair in a workshop and exhibition, sister-style of course! We then proceed with an Islamic Education Seminar to fill your employers, teachers, friends and non-Muslim organisations in on what our Ummah is really about. Early in the year we will be hosting the delightful and highly delectable Mother|Daughter High-Tea event fostering all things motherly and daughterly. In fact the High-Tea will be held in early March insha'Allah so be quick to book your seat and one for your mother/daughter and sisters too. Those ladies who've followed our activities over the past four years will know about our famous Girls Day Out which is going to be back again in 2009. For some adrenalin pumping action to release that daily stress (not that we sisters are oppre.. uh stressed thank you very much) compete with us at our Sports Day Series competitions. Last but not least we will finish the year off insha'Allah with an Exquisite Dinner. We invite you to join us through our array of events this year and remember that Al-Nisa exists to effortlessly plan these activities for you and to provide you with a Halal avenue to enjoy yourself, learn and to be with your sisters in safer environments. Therefore we highly encourage you to scrutinise what we have on offer and give us your feedback and comments. Furthermore, why not actually take a lead role and join in to organise these events. The Al-Nisa Youth Group are planning to conduct a parenting workshop in the mid-year designed for Muslim parents, parents-to-be or anyone wanting to learn important lessons on rearing children and dealing with difficult situations. A survey is being conducted to understand what Muslims in Brisbane want in a parenting workshop, as well as the time and location. If you are interested in a parenting workshop you can help out by completing the following survey to help Al-Nisa in the planning of these workshops. Tonight (Sunday) at 8.30pm Sophie McNeill travels to the remote tribal regions of north-west Pakistan, to see how the country's new civilian government is coping with the Taliban insurgency. Despite the Pakistani army's seemingly determined efforts to root out the militants – they're making little headway. The fighting is fierce and has already claimed the lives of around 1,500 Pakistani soldiers – three times the number of American soldiers who have died fighting the Taliban in Afghanistan. The troops are also accused of using excessive force - killing innocent civilians and displacing over half a million people. 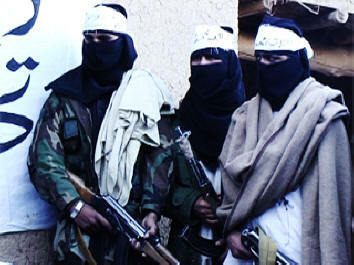 Find out more about Pakistan's fight against the Taliban at Dateline's new time of 8:30pm on Sunday. Also on the programme George Negus interviews former British Prime Minister Tony Blair. Since he left Number 10 Downing Street, Mr Blair has been heavily involved in efforts to broker peace in the Middle East. But some are wondering what effect Mr Blair's support of the Iraq War will have on his ability to negotiate effectively in the super-heated Israel/Palestinian arena. And as the UK slips deeper into economic crisis, what does the former Prime Minister have to say about his legacy in Britain? With the boom times over, does he accept any responsibility for the UK's current state? The Web Manager & Information Officer is responsible for overall content management of the websites for ECCQ and PiCC (Partners in Cultural Competence). The position also involves a range of information management tasks for the organisation including ongoing development of the organisation’s resource library and activities relating to organisational communication. Custodian of the Two Holy Mosques King Abdullah receives Chinese President Hu Jintao at the Riyadh airbase on Tuesday. The children accompanying the president are survivors of a devastating earthquake that hit China last year. RIYADH: Custodian of the Two Holy Mosques King Abdullah held wide-ranging talks with Chinese President Hu Jintao, who arrived here yesterday with a mission to strengthen strategic ties between Riyadh and Beijing, especially in the oil and petrochemical sector. The Kingdom and China later signed five bilateral agreements. During the meeting, King Abdullah highlighted the strong friendly relations between the two countries and peoples. He expressed his desire to further strengthen Saudi-Sino relations. "China was the first country I visited after becoming the king," Abdullah told the Chinese president. On his part, Hu commended King Abdullah's efforts to strengthen relations. "We appreciate the continuous contacts between leaders and officials of the two countries," he added. The two leaders called for a just and comprehensive Middle East peace settlement that would ensure the Palestinians an independent state. The wife of one of Saudi Arabia’s richest men says she is ready to get behind the wheel as soon as the ban on women drivers is lifted. Princess Amira al-Taweel, who is married to global tycoon Prince Alwaleed bin Talal, told the Saudi daily Al-Watan that she already drives when she travels abroad. 'Certainly I'm ready to drive a car,' said Amira, whose husband is a nephew of Saudi King Abdallah and is ranked as the world's 13th-richest person by Forbes magazine. Women in Saudi Arabia have not been permitted to drive since the establishment of the state in 1932, but the government is set to lift its ban and issue a decree by the end of the year. However if the ban is lifted, there are likely to be hurdles such as obtaining licences and insurance which must also be overcome. The prohibition forces families to hire live-in drivers, and those who cannot afford the $300-$400 a month for a driver must rely on male relatives to drive them to work, school, shopping or the doctor. But change will be difficult in this ultraconservative society, where many believe that women at the wheel create situations for sinful temptation. They argue that women drivers will be free to leave home alone, will unduly expose their eyes while driving and will interact with male strangers, such as traffic police and mechanics. China urged Canada on Thursday not to take in up to three members of its Uighur minority held at Guantanamo Bay, saying the issue should be solved according to international law. The three, whose lawyers have filed applications for refugee status in Canada, are among a group of 17 Uighurs captured in the wake of the US invasion of Afghanistan and held at Guantanamo for the past seven years. 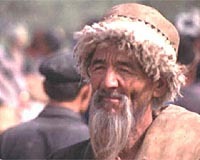 Uighurs, who are mostly Muslim, form the largest ethnic group in northwest China's Xinjiang region that borders Central Asia. Some hope for independence from China. Jiang was asked to comment on an appeal from Amnesty International, a Canadian Uighur group and several churches for Canada's government to take in the three Uighurs. A group of young Muslims are backing a Church in Wales appeal for humanitarian aid in Gaza. They have raised more than £1,000 for a mobile dental clinic delivering frontline medical aid around the bombed out streets of Gaza. The clinic, which has been funded totally by the Church in Wales since 2000, is part of the work of family health centres in Gaza run by the Near East Council of Churches. Members of the Young Muslim Community Organisation in Newport, South Wales, held a bazaar to raise money following an appeal by the Archbishop of Wales, Dr Barry Morgan, for urgent aid for the work of the NECC clinics. The appeal was intensified after a direct missile attack destroyed one of the family centres in Shij’ia two weeks ago. Ifthir Ahmed, chair of the YMCO, said the group was pleased to support a Welsh appeal for humanitarian aid. He said, “We read about the destruction of the family clinic and the invaluable service the mobile dental clinic provides for so many people in the Strip. We felt that some of the money we raised had to go to this very noble cause. Angelina Jolie, a goodwill ambassador for the United Nations refugee agency, has urged Thailand to welcome Muslim refugees fleeing Burma. Thailand's treatment of the Rohingyas, an oppressed Muslim minority from mainly Buddhist Burma, has been widely condemned as evidence emerges that hundreds were rounded up by the Thai military and towed out to sea. Response to the article entitled “Stop Embarrassing ME!" John Wood discovered his passion, his greatest success, and his life's work—not at business school or leading Microsoft's charge into Asia in the 1990s—but on a soul-searching trip to the Himalayas. Wood felt trapped between an all-consuming career and a desire to do something lasting and significant. Stressed from the demands of his job, he took a vacation trekking in Nepal because a friend had told him, "If you get high enough in the mountains, you can't hear Steve Ballmer yelling at you anymore." Instead of being the antidote to the rat race, that trip convinced John Wood to divert the boundless energy he was devoting to Microsoft into a cause that desperately needed to be addressed. While visiting a remote Nepalese school, Wood learned that the students had few books in their library. When he offered to run a book drive to provide the school with books, his idea was met with polite skepticism. After all, no matter how well-intentioned, why would a successful software executive take valuable time out of his life and gather books for an impoverished school? But John Wood did return to that school and with thousands of books bundled on the back of a yak. And at that moment, Wood made the decision to walk away from Microsoft and create Room to Read—an organization that has donated more than 1.2 million books, established more than 2,600 libraries and 200 schools, and sent 1,700 girls to school on scholarship—ultimately touching the lives of 875,000 children with the lifelong gift of education. Leaving Microsoft to Change the World chronicles John Wood's struggle to find a meaningful outlet for his managerial talents and entrepreneurial zeal. For every high-achiever who has ever wondered what life might be like giving back, Wood offers a vivid, emotional, and absorbing tale of how to take the lessons learned at a hard-charging company like Microsoft and apply them to one of the world's most pressing problems: the lack of basic literacy. Q: Dear Kareema, I've been exercising regularly for the past 3 months but can't seem to shift the weight. I've been varying my exercises but it doesn't seem to make any difference. Any advice? A: Focussing on exercise alone is a common mistake many people make. Remember that diet and exercise go hand in hand. Iin fact, the ratio is about 70% diet, 30% exercise. So start eating healthier and include a dose of high-intensity strength training sessions into your routine to build muscle mass. This, in turn, will help you burn fat faster. Sift the flour and the salt, then add all other dry ingredients. 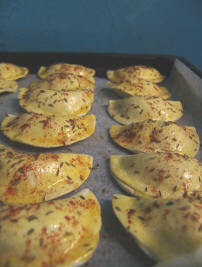 Beat the egg and oil and very gently rub into the dry ingredients. Mix the milk and water and add to the flour mixture and knead to form a soft dough. Cover the dough and leave to rise until almost double in size. Heat the olive oil and add all the above and cook the chicken until tender and then make a mixture of 1 ¼ cup cold milk and 2 tab corn flour and add to the chicken and let it simmer for a few minutes and then allow it to cool. Jalalludin had just finished installing carpet for a lady. He stepped out for a smoke, only to realize he'd lost his cigarettes. In the middle of the room, under the carpet, was a bump. "No sense pulling up the entire floor for one pack of smokes," he said to himself. He proceeded to get out his hammer and flattened the hump. As he was cleaning up, the lady came in. "Here," she said, handing him his pack of cigarettes. "I found them in the hallway." This week's ladies taleem will be held at the home of Nadima Peer, 49 Stiller Drive, Kuraby. Call 3219 8150 for more information. If there is someone you know who would like to subscribe to CCN please encourage them to send an e-mail to ccn@crescentsofbrisbane.org with the words “Subscribe Me” in the subject line.